How Are Attorney Fees Paid For Iowa Workers' Compensation Claims? | Pothitakis Law Firm, P.C. How Are Attorney Fees Paid For Iowa Workers’ Compensation Claims? If you are suffering from a work-related injury, it is important to understand how your attorney will be compensated for their work on your workers’ compensation case. Not knowing how attorneys are paid can make the entire process confusing. Following is an explanation of the typical way fees are determined, though when uncertain, you should always ask the attorney – before retaining their services – how exactly their fees are calculated. 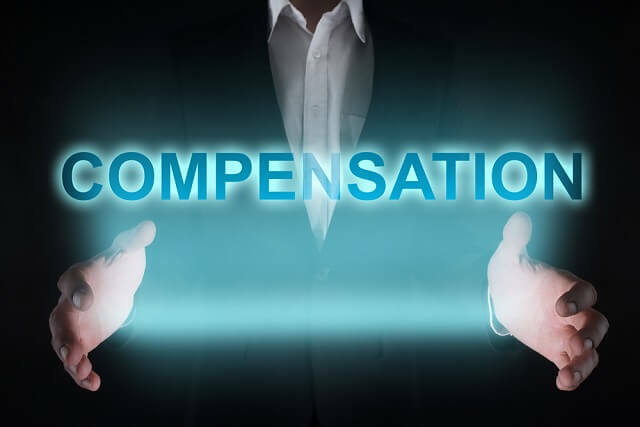 Many lawyers choose to work on what is known as a “contingent fee” basis when handling their clients’ workers’ compensation claims. “Contingent fee” simply means that the fee will be dependent upon the amount of money recovered for you. The fee is a percentage of your recovery, usually 25% of the total monetary recovery. The fee will also include any filing fees or other expenses that the firm paid on your behalf, such as the fee to file the claim with the workers’ compensation board or any other costs associated with proving your claim. The district court overseeing the claim is the final arbiter of how much will be paid to the attorney. It is not uncommon for the court to limit the contingent fee to something lower that what was agreed to, based on equitable principles and the final amount awarded to you. The main benefit of a contingent fee arrangement for the injured claimant is that if the case is not successful, they will not owe attorney’s fees. Other times, depending upon the claim, a lawyer may charge an hourly fee for their work on your behalf. This may occur if the case is particularly difficult. It is always important to know what your costs will be when pursuing any legal case. At The Pothitakis Law Firm, we want our clients to know upfront what their legal fee obligation will be in the end. We talk to you openly, in plain language, so you know exactly what is happening from start to finish. We have over 30 years of experience representing the injured, and we practice throughout the state of Iowa. If you cannot travel to our offices for a consultation, we will be happy to accommodate a meeting either by telephone or by traveling to you. If you or a loved one has been hurt on the job, don’t attempt to resolve the matter by yourself. Hire a competent and reliable workers’ compensation attorney to pursue your claim and help you fight for the best possible outcome – for both your peace of mind and financial well-being. Contact us today for a free consultation where we can answer any questions you may have about the workers’ compensation claims process in Iowa, along with any issues relating to legal fees. Previous PostPrevious Iowa Workers’ Compensation: What Should I Do If My Claim Is Denied?